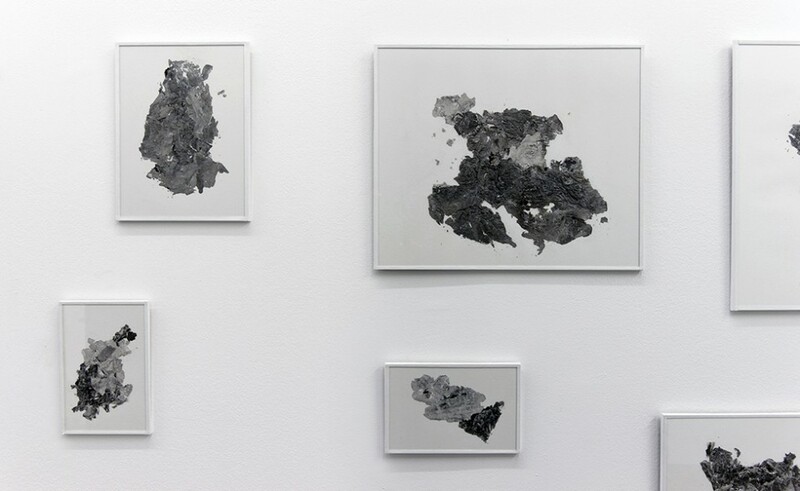 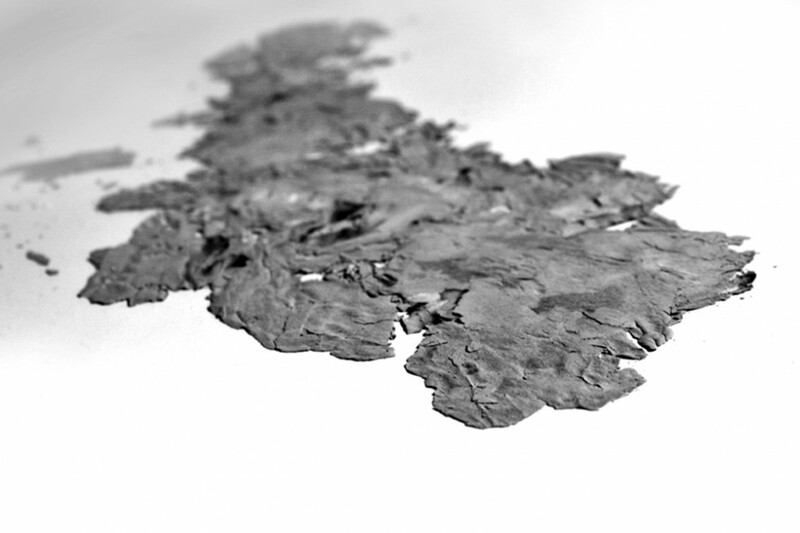 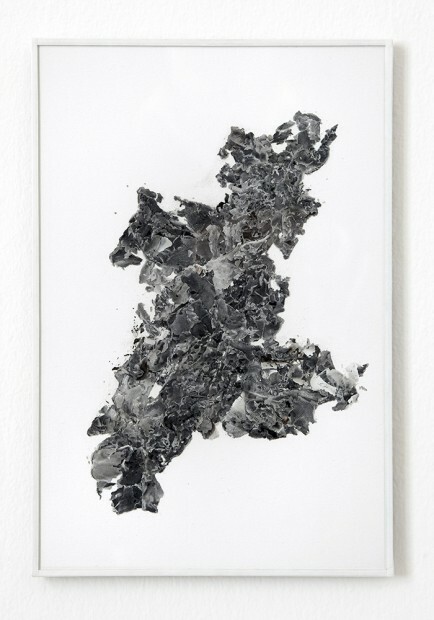 On a white wall, fifty frames hold the ashes of several burnt documents with the sheer pressure between the glass and the mount. 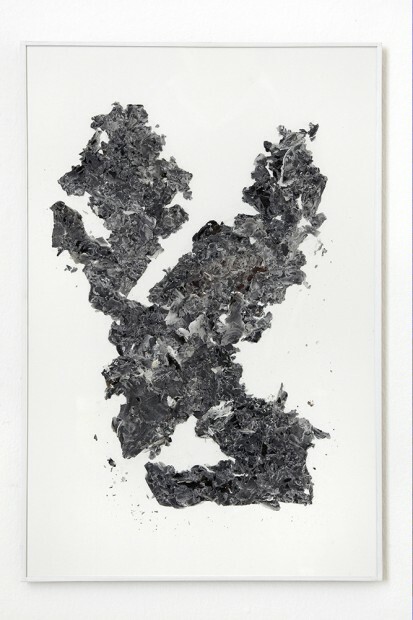 The shapes adopted by the ash seem to depict several islands forming an archipelago, thus bringing to mind the imaginary representations of the ‘Terra Incognita’ and of the ‘Cannibalia’ that were often found in the first cartographies of the New World carried out in the 15th and 16th centuries. 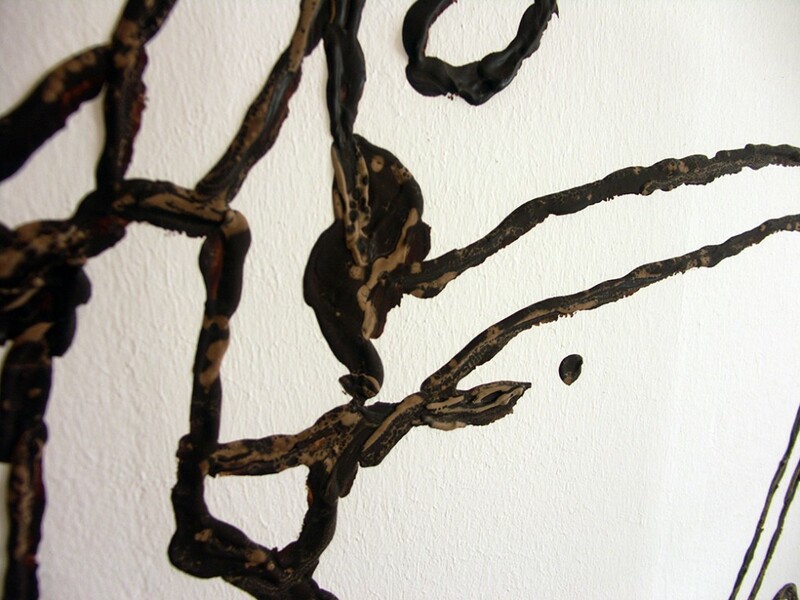 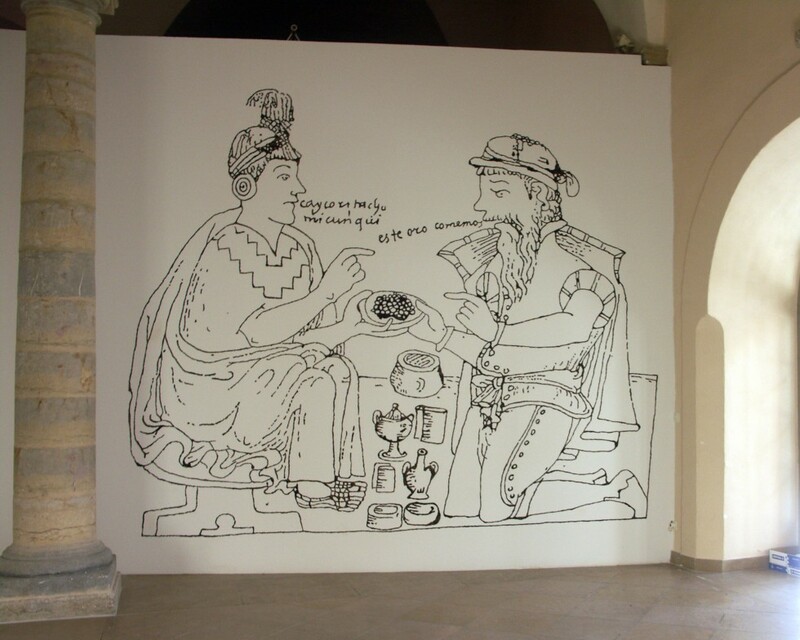 Drawing carried out directly on the wall of the exhibition room of the Attitudes Arts Centre in Geneva, Switzerland (first place where this piece was produced). 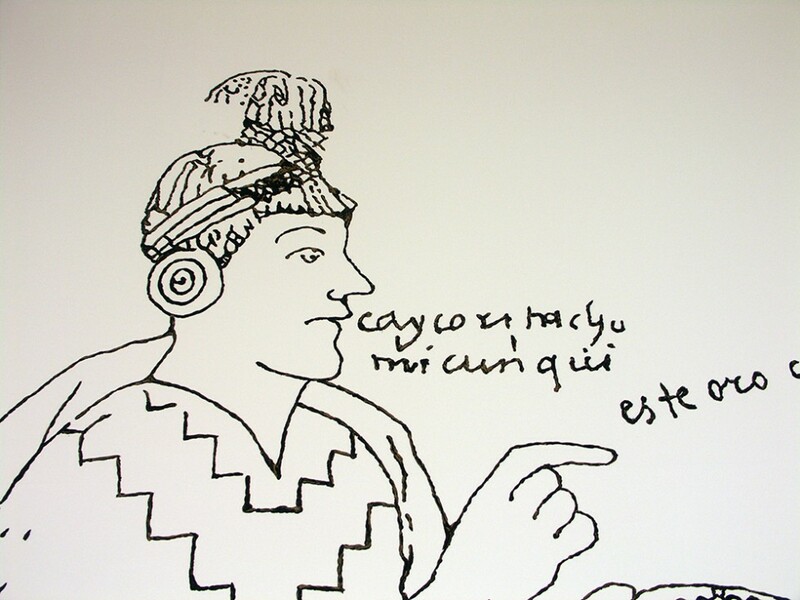 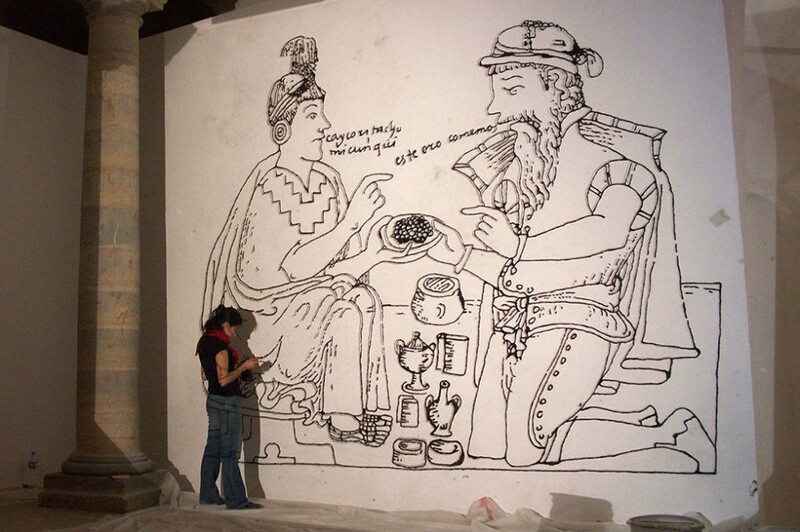 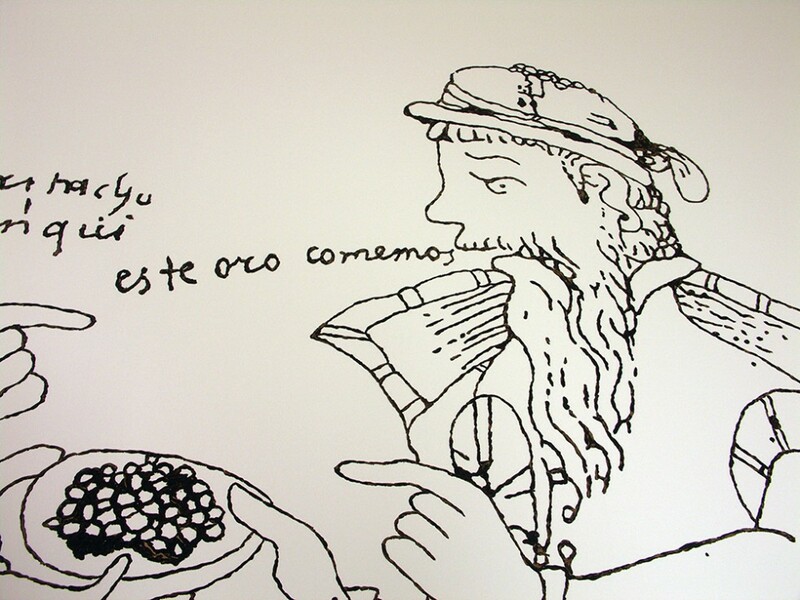 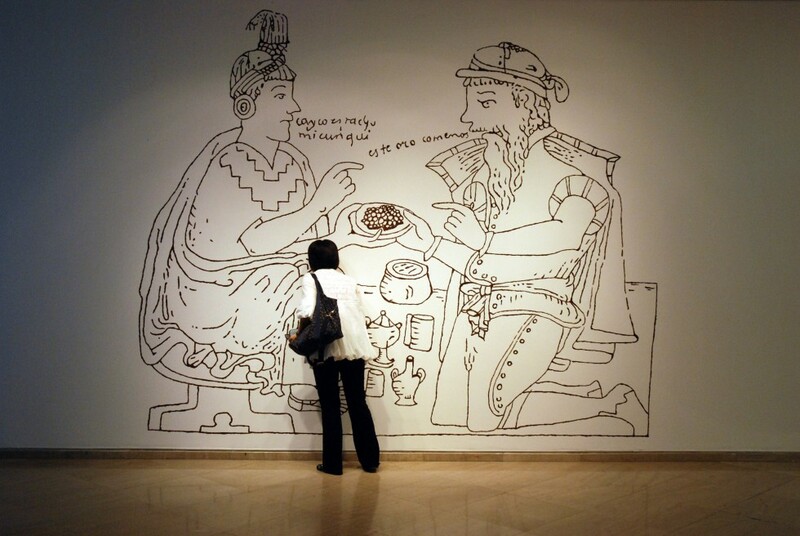 It is a large-scale drawing taken from the Nueva Crónica y Buen Gobierno by Guamán Poma de Ayala (1615), in which an Inca and a Spanish conquistador are depicted exchanging produce. 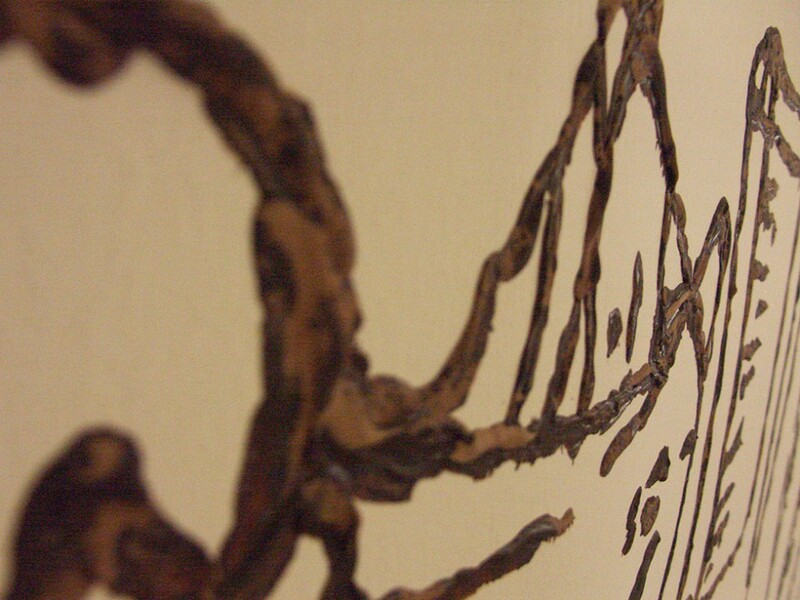 For ink I used a mixture of Swiss chocolate made with Ecuadorian cocoa. 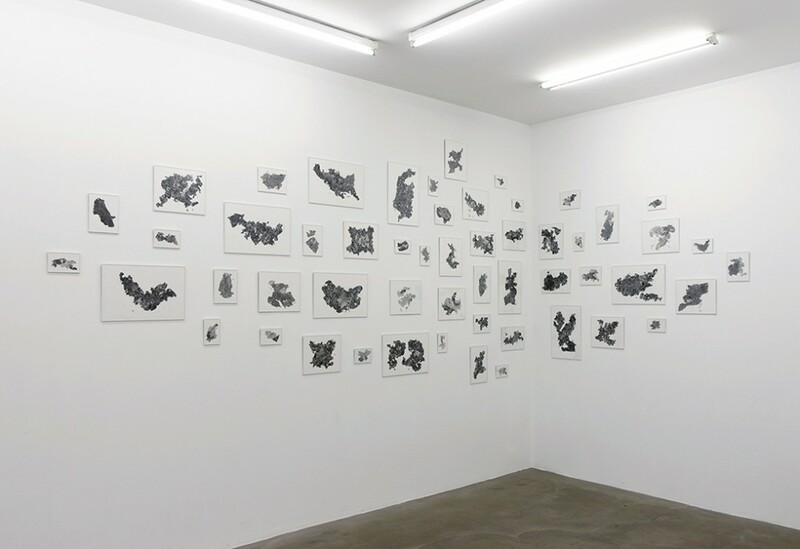 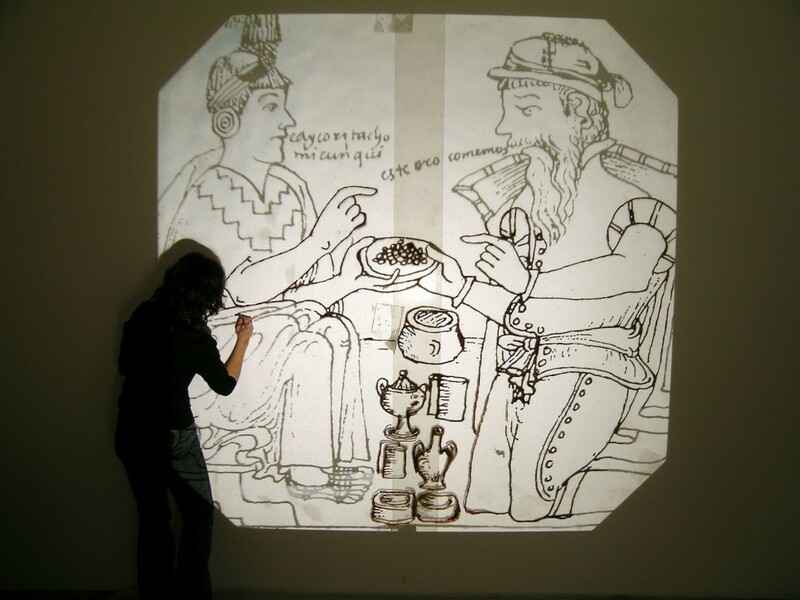 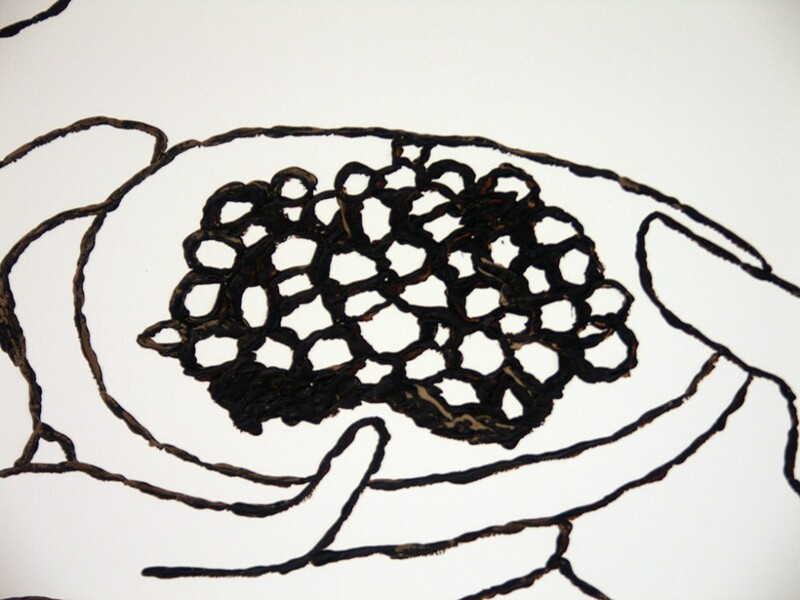 The drawing would be carried out on two other occasions, in Lyon (2007) and in Shanghai (2008).